This past weekend we attended the premier food event in the valley, the Devoured Phoenix Culinary Classic. If there is only one food event you go to in a year, this should be it! The Devoured Culinary Classic showcases the fine food and drink producers and purveyors of Arizona while furthering metro Phoenix as a dining destination worthy of international culinary prestige. As in past years, this year’s Culinary Classic was sold out well in advance and it isn’t hard to see why. 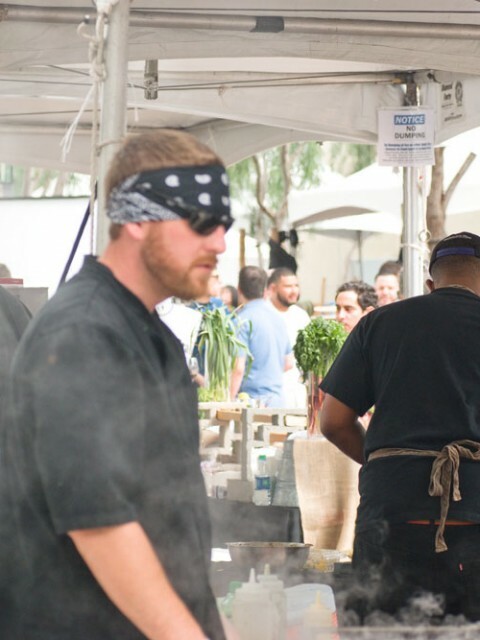 With all of the great culinary talent in one spot, attendees were able to enjoy the best Arizona has to offer. 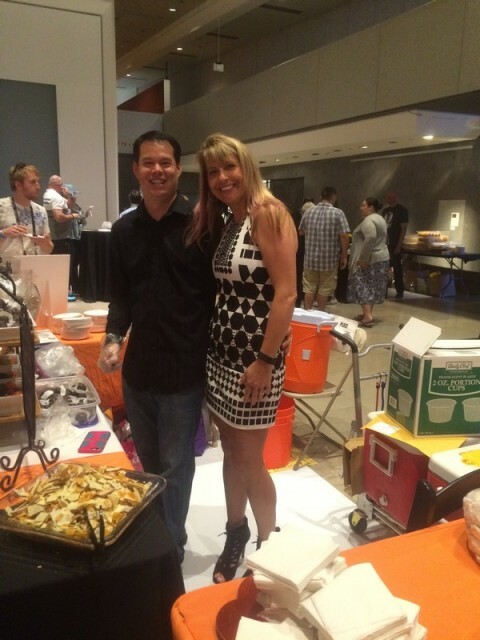 This year, in addition to all the amazing restaurants, breweries, and wineries, the Devoured Phoenix Culinary Classic offered a local foods experience inside of Palette, the Phoenix Art Museum’s restaurant and the Great Hall also boasted local artisans and companies. It was great seeing not only great restaurants but great artisans and local vendors such as Arcadia Premium, Nutwhats, Del Bac Whiskey, and Maya’s Farm. As in past years, attendees were also able to explore the museum and enjoy the exhibits as a part of their admission. The People’s Choice Awards were announced yesterday, but now its time for the Geeks Choice Awards! This category is the only one that Matthew and I disagreed on. While everything we ate was incredible we both had our favorites. Matthew’s favorite was the BLT Cauliflower Panna Cotta from Elements at Sanctuary Resort and Spa. It featured tomato jam, fried kale, and bacon dashi. 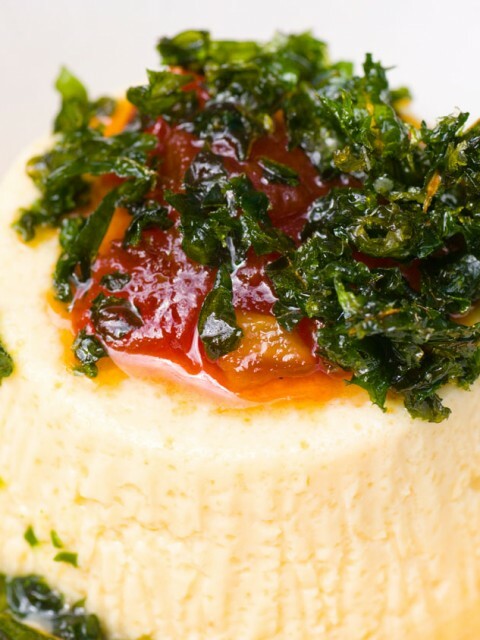 Having never had a savory panna cotta it was my favorite as well, that is until we met Chef Gio Osso from Virtu. Chef Osso was serving Testa and N’duja on flatbread. 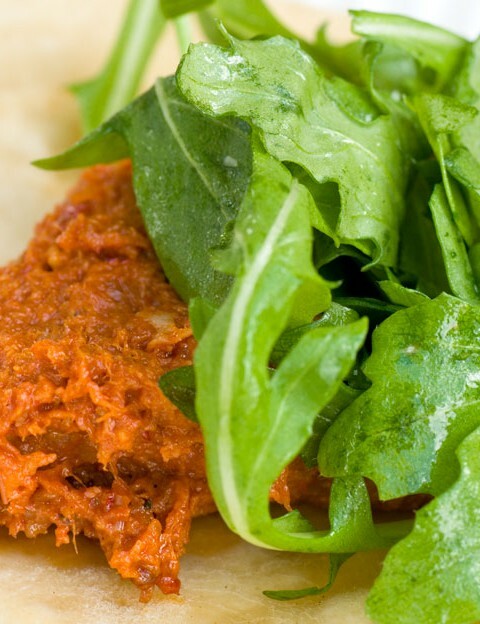 I tried the N’duja (basically spicy head cheese) and it blew my mind (pun intended)! There was no disagreement between us on this category. 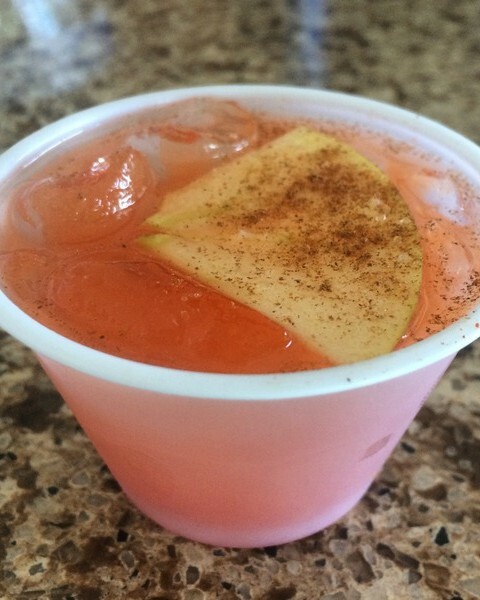 We both agreed that The Thirsty Camel Lounge‘s and Devoured Bartending Competition Winner Robert Porter’s Cinnamon Samurai was the best thing we drank. That isn’t to say there wasn’t some excellent wine there (Orin Swift’s Fragile) or even excellent beer (man we sure do love Prescott Brewing Company’s Achocolypse), but something about a cocktail that used red pepper juice and cinnamon is just so unique that it won us over! True story, the best sweet we ate was so good that we didn’t manage to snap a photo of it and even worse when we went back to get a photo they were so good that they were gone! What was good that it distracted us and ran out early? It was the Rustic Moonshine Truffles from Nutwhats! Lisa constantly makes amazing chocolates, barks, and even lollipops! This was no exception, her ganache is perfect and the flavor was to die for! Hopefully with the popularity of these truffles and her Aviation lollipops, Lisa will make more boozy treat flavors! The Devoured Culinary Classic is always an amazing event. We always tell people that if you only go to one event all year, Devoured should be it! Thank you Local First Arizona for hosting such a great week and weekend! We look forward to next year and are now armed with a list of restaurants we need to try! Next → Next post: Savor the Flavor of Eating Right This March!